On behalf of the Pueblo and Colorado members of the No Kill Advocacy Center, I am writing in support of the Pueblo Animal Protection Act (PAPA) and urge its passage. PAPA is not only necessary, reasonable, and an effective means of saving lives, it is consistent with public safety and it would bring Pueblo Animal Shelter procedures in line with the humane, progressive values of the American public. Similar laws in other cities and states save nearly 50,000 animals a year, have reduced killing statewide by 78%, have led to live release rates in excess of 95%, have cut millions of dollars in wasteful spending, and have generated millions in local economic benefits. Tragically, the shelter contractor is attempting to derail the effort by making several misleading and inaccurate claims. First, they claim that PAPA would lead to increases in taxpayer costs. Second, they claim that it would put public safety at risk, by mandating the release of dangerous dogs. Third, they claim that a 90% metric is unreasonable and unachievable. None of these claims are true. Saving lives is not only cost-effective, it is economically beneficial. 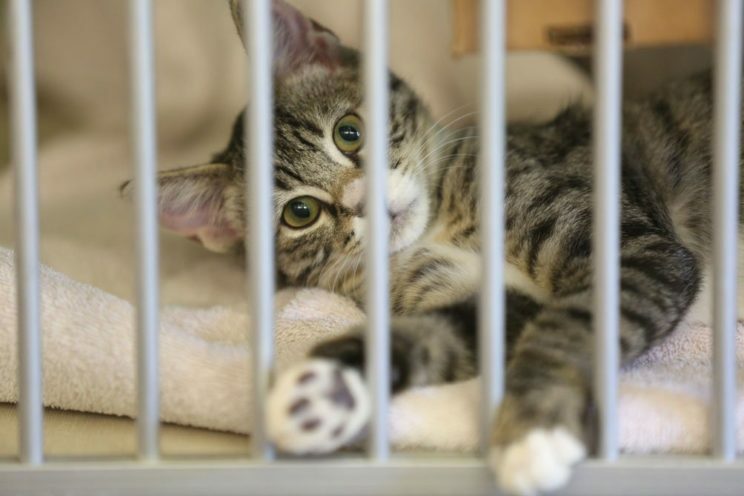 Over the last several years, the No Kill Advocacy Center has analyzed shelter funding and live release rates in multiple states, the economic impact of increasing live release rates on shelter expenses and revenue, as well as the economic impact on community businesses and tax revenues. After analyzing that data, the answer became unassailable: saving lives is more cost-effective than killing. Not only are most shelter costs fixed, but many of the programs identified as key components of saving lives rely on private philanthropy, as in the use of rescue groups, which shifts costs of care from public taxpayers to private individuals and groups. Others, such as the use of volunteers, augment paid human resources. Still others, such as adoptions, bring in revenue. And, finally, some, such as sterilizing rather than killing community cats, are simply less expensive, with exponential savings in terms of reducing births. We’re not the only ones to reach that conclusion. A study out of the University of Denver found that the Austin, Texas, No Kill law yielded $157,452,503 in positive economic impact to the community — a return on investment of over 400%. “The costs associated with implementing the Resolution,” the study concluded, “appear to have been more than offset by a series of economic benefits to the community.” And study authors further concluded that that’s “the most conservative possible measure of the data.” In other words, the true economic benefit is likely to be higher. Similarly, a 2016 Florida Southern College study of the impact of the SPCA of Florida on the regional economy found that for every $1 in revenue generated by the SPCA, $1.67 was created in the regional economy. Overall, the SPCA’s adoption center generates over $5.7 million yearly in economic impact (as adopters spend money on veterinary care, pet supplies, shop while in the area, and more) and has provided approximately one additional employee to each of the local county’s 179 for-profit veterinarians. An analysis of increased lifesaving in Marquette, Michigan, likewise found that it corresponded with a growth in revenue. As the shelter increased its live release rate from 36% to 97%, overall revenue increased 61%. In fact, when they were killing, they lost $178,636 in adoption revenue and it would only have cost them $15,660 more to actually save them. A study of California’s rescue provision — similar to the one in PAPA — found that the number of animals saved, rather than killed, increased in California from 12,526 before the law went into effect to 58,939 in 2010 — a lifesaving increase of over 370%. Moreover, that increase corresponded with a cost savings of $1,856,520 statewide for killing and disposal (these savings do not include additional savings related to cost of care). Additionally, communities like Muncie, Indiana, which have passed similar laws did not seek increases in budgetary allocations to animal services as a result of the mandates. Finally, the contract to run Pueblo Animal Services is already generous by comparative industry standards. Any increased obligations can be absorbed within the existing budget, especially as shelter costs will be more than offset by decreased costs associated with killing and disposal and additional revenues from reclaim and adoption. No Kill is consistent with public safety. Once again, the University of Denver study is instructive. In Austin, the killing of dogs deemed “aggressive” has declined significantly over the years: from 2009 (the year before the City mandated a minimum 90% live release rate at the shelter) to 2015 the rate dropped from 7% to 1%. At the same time, the live release rate for dogs climbed from 69% to 98% while the percentage of dog bites deemed moderate or severe declined by 13% with the greatest decline in the number of bites classified as “severe,” which declined by 89%. That trend holds over longer periods going back nearly 20 years in Austin. Like the Austin ordinance, PAPA excludes dangerous dogs from any adoption obligations. Not surprisingly, the study found that No Kill was not only consistent with public safety, it improved it, noting positive impacts on “public health, social capital, and community engagement,” all of which have “important implications for Austin’s ability to promote and sustain the health and well-being of both its human and non-human animal residents.” More specifically, it found no increase in moderate and severe dog bites — in fact, the number of moderate and severe dog bites declined during the study period — and noted specifically that the No Kill ordinance did not lead to an increase in dog bites. A mandated 90% live release rate is achievable. Today, hundreds of cities and towns across the U.S. have live release rates above 90% at their open admission municipal or contracted shelters (saving90.org). Many of those are at over 95% and as high as 99%. That includes 26 communities in Colorado alone. In Michigan, sixty out of 83 counties have a live release of 90% or better. Not surprisingly, the University of Denver study specifically concluded that “a high LRR [Live Release Rate] is achievable at a municipal level.” To put it simply, something can’t be impossible if it has already been achieved. President Nawrocki and Members of the City Council, the people of Pueblo are kind, generous, and humane. They deserve a city shelter that reflects their values. PAPA would ensure that it does.